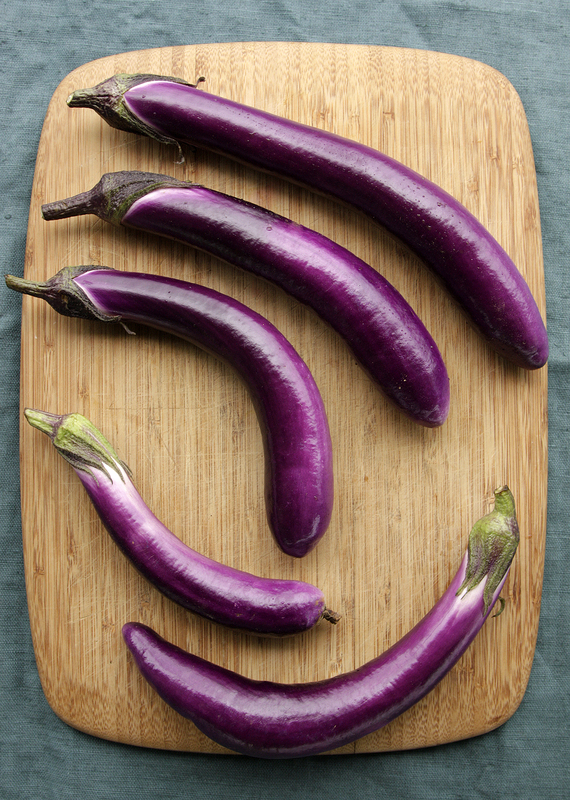 Ping Tung Long Eggplant originates in Pingtung, Taiwan. It produces a long fruit that is irridescent purple and can grow to around 18 inches in length and 2 inches wide. This variety is fairly disease resistant and produces very high yields so it is recommended that you stake the plant to support the weight. At harvest, fruit should be large, shiny and uniform in color. When the side of the fruit is pressed slightly with thumbnail and an indentation remains, the fruit is ripe.